Polished Cleaning is one of the Fort Worth cleaning services that are up front about their prices, what they do and the products they use. For their regular clients they have a set routine that dictates how they clean your home. For example, in the bedroom they will dust the furniture, vacuum or mop, change the linens, and so on. This ensures that not a single spot is missed and their cleaning is always of the highest quality while also staying surprisingly cheap. Regardless of the reason, there are times when a maid service in Fort Worth, TX is necessary. 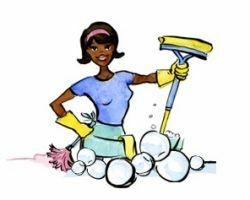 Brenda, the owner of Brenda’s Cleaning service, cleaned for ten years professionally before forming this company of highly experienced cleaning experts. The company is known for using eco-friendly products for all of their residential and commercial cleaning service. Not only that but they customize their cleaning to best suit your unique home and needs. 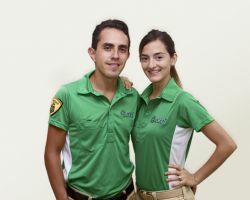 Their attention to detail in their work and to the happiness of their clients has made this local house cleaning service the best. 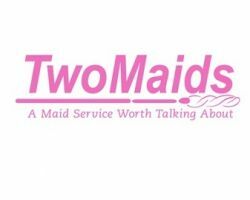 The first thing that generally impresses potential clients about Two Maids is the fact that their professionals will come to your home and offer free estimates. Every house this company is responsible for cleaning is different and so are the expectations from the client. This is why their prices and services are more customized than any other company in Texas. Not only that but it also means that they will be cleaning for affordable prices in the most professional way. Ann’s Cleaning Service is a locally owned and operated house cleaning and office cleaning service in Fort Worth that has built an incredible reputation since its establishment in 2003. This company has really listened to what their clients want over the years and have adjusted their services accordingly. This makes for more custom cleaning that makes sense considering each home is different. Whether you would like their services weekly or would like them to come in less-often just to help rejuvenate your space, they will be flexible to your needs. Gmaids is a cleaning company that uses exclusively green and non-toxic cleaning products. This not only gets a deep clean but keeps your family and pets safe at the same time. If you are in need of a housekeeper in Fort Worth then this company has the most professional certified maids to send to your home as soon as you need. Not only are the company and the maids insured and licensed but the establishment has been serving the area for the last 10 years.